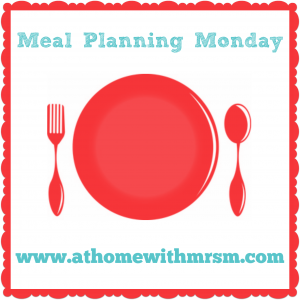 Meal Planning Monday! It's been a while since I did one of the posts. Our weeks have been quite hectic and my appetite has been so strange that I don't always stick to what I have planned. If I had my way I would be living off spag bol for this whole pregnancy but Mr T would not be happy with that. I've totally gone off beef in any form (apart from mince) and any meal that involves a large piece of meat on the plate. Pass me the pasta though, that I cannot get enough of! I am finding meal planning a struggle. I've lost all enjoyment for food (unless it's cake of course) so I'm having the force myself to eat a varied and balanced diet. If anyone has tips on what they found good to eat during pregnancy please let me know. I don't even feel sick any more just meh when it comes to food and cooking. God that was a bit of a boring moan - sorry! So anyway, here is this week's meal plan; here's hoping we actually stick to it! 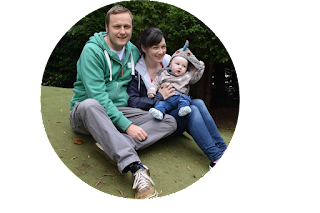 As always I'll be linking up over at Mrs M's - hope you all have a good one! Yum! Everything sounds delicious! I really need to try making Cottage pie with Sweet Potato's!